Bioengineering professor Manu Prakash brought the world a 50-cent microscope. Now he’s created more cheap public health tools, including a paper centrifuge and a mosquito identifier. And he’s just getting started. While many of us may look at a sheet of paper and see something to write on, Stanford University bioengineering professor Manu Prakash sees groundbreaking scientific technology. He’s probably best known for creating the Foldscope — a paper microscope that’s been shared with thousands of people all over the world (TED Talk: A 50-cent microscope that folds like origami). Recently, Prakash, a TED Fellow, unveiled two new low- or no-cost health tools: the Paperfuge, a paper centrifuge that enables the diagnosis of diseases in remote areas, and Abuzz, an app that allows people to upload the sounds of mosquitoes so the insects can be mapped to track the spread of illnesses they carry. Why medicine needs a spin cycle. In health care, centrifuges — devices that whirl blood and other fluids at super-high speeds (more than 15,000 RPM) and separate it into its various components — are a crucial piece of equipment for detecting diseases. However, they are expensive (costing from hundreds to thousands of dollars), heavy, and require a power source to function, putting them out of reach for poor or remote communities. After Prakash visited a Uganda health clinic and spied a centrifuge being used as a pricey doorstop (there was no electricity to power it), he realized the need for a cheap, non-electric model. To create game-changing technology, he looked at children’s games. Prakash wasn’t the first person to want to create a cheap centrifuge — other researchers have experimented with egg beaters and salad spinners, but those gadgets topped out at a relatively sluggish 1,200 RPM. 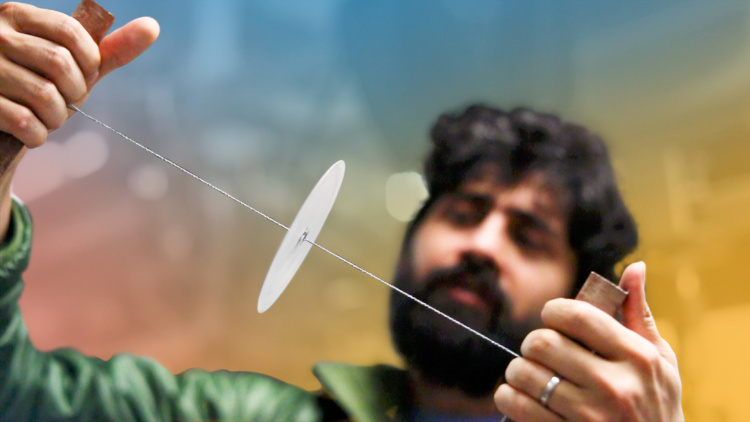 So he and his team at the Prakash Lab turned to kids’ toys for inspiration, trying tops (they couldn’t spin long or fast enough); yo-yos (they demanded too much skill and consistency to throw well); and, finally, whirligigs. Dating back to 3,300 BC, a button whirligig consists of a button or disc that sits in the middle of a loop of string — when you grasp an end of the string in each hand and pull, the button spins. Prakash’s version consists of a pair of 10-centimeter reinforced paper discs strung on a braided fishing line, with a wooden handle at the end of each piece of string. Straws are attached to the discs and serve as tubular valves to hold tiny vials — called capillaries — of blood samples to be spun. His Paperfuge can reach up to 125,000 RPM and separates plasma from whole blood in less than one-and-a-half minutes. A conventional device takes around two minutes to do the same task and costs $1,000–$5,000. The estimated cost of materials for Prakash’s model? Twenty cents. The simplest blood test: checking for anemia. To use the Paperfuge to find out if you have anemia, you just need to prick a finger, put some drops of blood in a capillary, insert that into the straw on the disc, and seal it with clay. After 90 seconds of spinning, a human’s naked eye can discern the ratio of blood cells to plasma, says Prakash. A low red blood cell-to-plasma ratio might signify anemia. Welcome. Here are a few excerpts from some recently published articles. To read more of my recent work, please visit my Medium channel – which feeds into the TED Fellows blog – my feed on the TED Ideas blog, and the TED blog.